Interesting figures relating to m-commerce trends in India reveal the preference to shop while on the move and through the apps to the tune of more than 45%. Shopping through mobile phones has shown more than 100% increase especially from the year 2012 onwards. In an online shopping survey carried out by MasterCard in 2014, at least 94% of respondents made a minimum of one purchase through a mobile phone in the last quarter as against 70.9% in the year 2012. 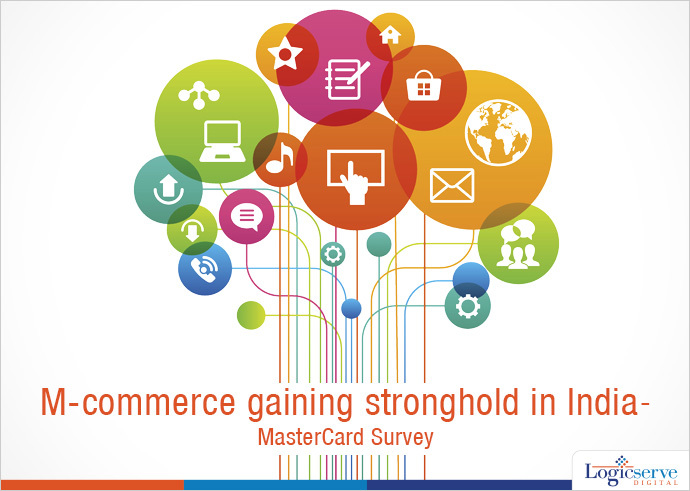 The MasterCard Online Shopping Survey 2014 was carried out across 14 Asia Pacific countries. India emerged in the second lead position at 62.9% following China at 70.1% as the number of respondents using a mobile device to shop. The other countries that made it to the top of the list are Taiwan, Thailand and Indonesia. Interesting figures relating to m-commerce trends in India reveal the preference to shop while on the move and through the apps to the tune of more than 45%. The demand for smartphones has considerably increased. Incidentally, topping the list of items purchased through smartphones are smartphones itself and their apps at 28.8% followed by purchase of movie/theatre tickets at 26.7% and lastly but not in the last, shopping for fashion apparel and accessories at 24%. With regards to payments, shoppers still prefer to pay through cash and debit cards while mobile banking apps are gaining relatively good traction with their awareness quotient at 38.3% and in app shopping to the tune of 28.7% of the users. Currently, use of digital wallets is slightly lower than expected at 24.4%. These trends highlight the accessibility of internet across their mobile phones and their awareness about the online shopping activity. As per this survey 95% of the respondents in India have an internet enabled mobile device which is definitely an upward trend since 2012.